Yesterday, I was in a mood to prepare something different for packing lunch to my kid. I tried out this quick and easy recipe and it solved my what to cook for lunch box dilemma. This biryani tasted great and my kid loved eating this vermicelli biryani so much, that he asked me to give frequently to school...! Happy to share with you this delicious and tasty recipe! 1. Grind cinnamon, cloves, saunf, ginger, garlic, green chillies, cardamom to smooth paste and keep ready. 2. Chop the veggies to small pieces. 3. Grind grated coconut pieces to smooth paste with little water. 4. Filter and keep the coconut milk ready. 5. Heat a tbsp of ghee in a heavy bottomed pan. 6. Roast vermicelli for a minute without changing its color. 8. Add a tbsp of oil in the same pan and heat it. 9. Temper with cumin seeds and bay leaf. 11. Add chopped onion and fry till golden. 12. Add the ground masala paste and sauté till raw smell disappears. 13. Now add the chopped carrot, cauliflower, beans and peas. 14. Mix well. Add chopped mint and coriander leaves and sauté. 15. Add coconut milk, salt and bring to boil. 16. Then, add the roasted vermicelli. 17. Stir well and allow to cook, covered in medium flame. 18. Once , the vermicelli absorbs all the coconut milk, simmer the flame and cook for further 4 to 5 mins. 19. Remove from flame and fluff the semiya biryani gently. 20. Serve hot with freshly chopped coriander leaves. OMG... super duper tasty vermicelli! veg biriyani looks very yummy. perfectly made dear. biriyani with vermicelli!!! that's wonderful! This looks like a wonderful lunch! I wish I had that packed in my bento box! Yummy! The biriyani looks appetizing and yummy !! AH I love vermicelli noodles. This looks great! Love this. Great flavor combination!!! 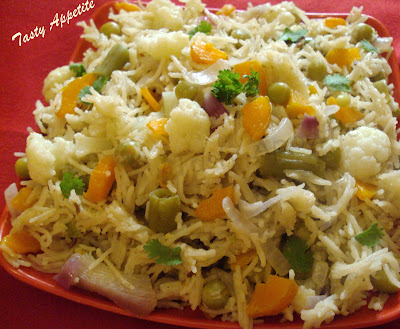 Wonderful and delicious recipe.. looks simply amazing dear.. lovely clicks too !! Quick vermicelli biryani looks so nice and delicious. Oh! It's looks nice and delicious! Looks great... I am sure that my kids will like it too. wow, vermicelli looks great.makkan beda looks great. Vermicelli Biriyani sounds interesting. Loved the makkan peda too. This looks amazing, love the combination of flavors! The vermicelli dish looks great! I like the ground cinnamon. Instead of making ordinary vermicelli upma..this biryani is worth trying with all the spices. 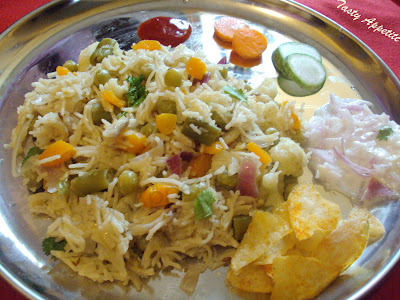 Biriyani looks inviting... Like the color very much.. Your children are super lucky! Pack lunches will never be the same again! Will be trying this out soon. Wat a colourful and filling briyani,inviting..
Never tried vermicelli biryani before, even when I am a fan of biryani. Good inspiration for me. Lovely briyani and its new for me with semiya inside, normally I only use this for payasam. Delicious & simple!!! Like it, like it!! Oh wow, amazing recipe! Looks and sounds so good ... Yummy! Thanks for stopping by the Food Hound! Love your biriyani... I've been seeing versions swarming around the web and I need to try it sometime. The spices involved are some of my faves! Loved your version of adding coconut milk! this sounds like a delicious meal..
Oh my..looks so delicious and colorful..innovative recipe. Great idea! Never though of making vermicelli biryani... Thanks for sharing! Thanks for stopping by my site! So glad you found me because now I have found your site :) You have some great recipes!!! Very well done, beautiful and delicious pic. 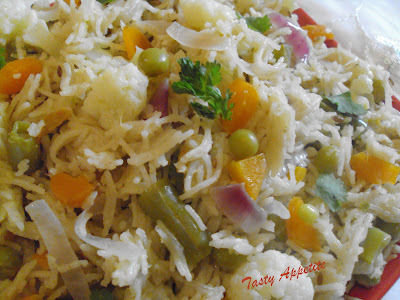 I luv vermicelli but never had briyani vermicelli b4, would like to try out one day. i love vermicelli noodles! what is yours made of btw? love how this is full of veggies and healthy seasonings!!! Semiya briyani looks dleicious. nice recipe. wowww looks soooooo tempting dear!! Biryani looks very inviting!! 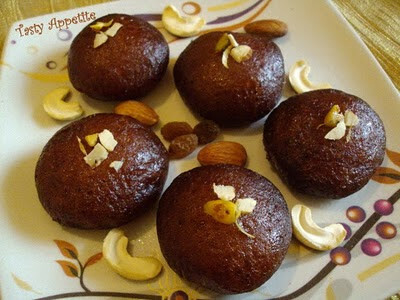 Makkan peda looks yummy!! This is definitely new to me..Super like!..My mom used to use Veggies and coconut..
Jay I am totally making this for lunch tomorrow! Alwaya looks for yummy recipes with vermicelli! I have never heard of vermicelli briyani! Looks delicious! What a delicious take on the normal biryani! Absolutely loving all the flavours in this recipe! I'll have to give this a go! Wow, very interesting. I love biryani (actually had some today) but have never thought of making or eating it with vermicelli instead of rice. What a creative idea! one to make quick yet taste the best looks great! 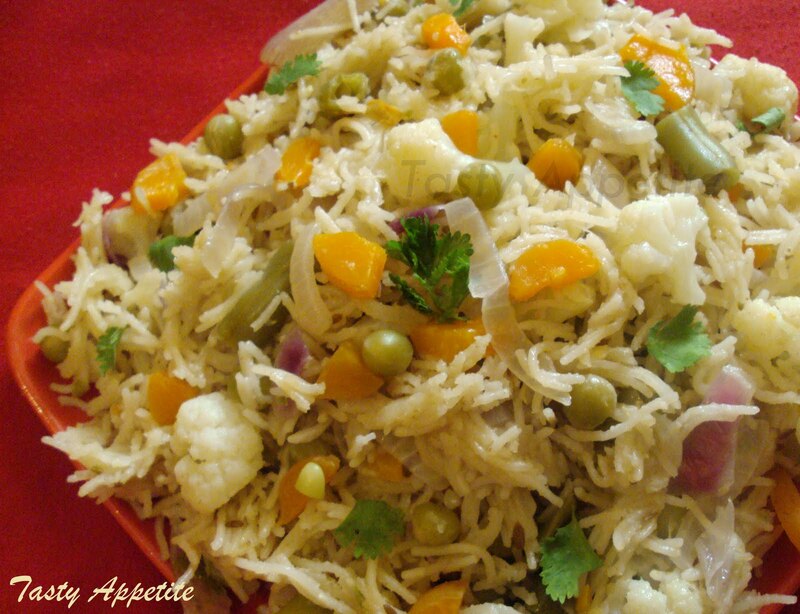 The vermicelli sounds great for a biryani, and the vegetables are so pretty in it! I have just had the best time perusing many of your posts and enjoyed each one! A great place you have here :) So many delicious features!